[詞彙Q&A] percent，percentage ，rate ，ratio ，proportion 有什麼區別? E.g. I only answered 20 percent of the questions correctly. You shouldn’t have copied my answers. E.g. 85% of Eric’s paycheck goes to his wife. The other 15% goes to the government. Both do nothing for Eric. E.g. The percentage of uneducated people in this city is relatively small. Nearly everyone has a bachelor’s degree or above. E.g. A large percentage of children in the school come from single-parent families. E.g. A large percentage of the crop has spoiled. E.g. The crime rate in this city is rapidly increasing. There are violent crimes happening almost every day. E.g. The ratio of students to teachers is 35:1. E.g. Only a tiny proportion of the population is infected by the H7N9 virus. 老師好, 請問若是用 What percentage of …. 來當主詞, 其對應的動詞, 要用單數形? 還是要視 of 後的名詞來看? 謝謝. 例如: What percentage of people in the world have/has mobile devices? What percentage of buildings in California is/are two-story? What percentage of the air is oxygen? 再次謝謝老師! Why is 25% of people are correct? The subject of this sentence is 25%. 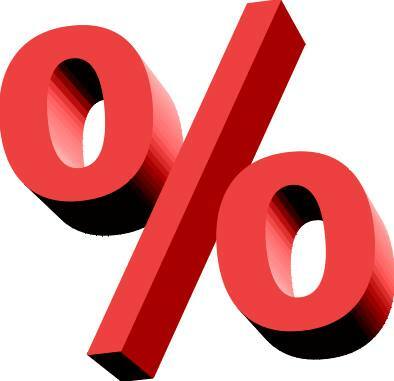 Fractions and percentages, like team and staff, can be either singular or plural depending on the object of the preposition following. In this case people is the object of the preposition of. We have already said that people is plural. Therefore, 25% becomes plural in meaning. Example: Twelve percent of the building has/have been renovated. The subject is twelve percent, which will be either singular or plural depending on the object of the preposition that follows. In this sentence, the object of the preposition is building, which is always singular. So the correct answer is has.